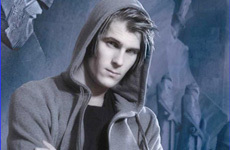 Basshunter aka Jonas Altberg was born 1984 in Halmstad, Sweden. He lives with his parents and younger brother 5 minutes from Swedens best beach "Tylösand". He can shortly be described as stubborn and creative person. He started to produce music in 1999 with a little help from the computer program "Fruityloops". The interest of music became bigger and bigger. After a lot of demos spread over the internet, he started to get some phone calls from clubs that wanted to have him as a deejay. In April 2006 he got his first real contact to the music industry when signed a record deal with Warner Music. He released his first single Boten Anna in Scandinavia and it became a hit instantly. It all went very fast, much faster then Basshunter himself ever could expect. From a normal guy that were very good in computer games he went to the guy that performed almost every day all over Scandinavia. The story continued that his "SWEDISH" song also went no. 2 in Holland on the sales chart, which is historical. Right now has Basshunter just finished his debut album "LOL" and it is available in a store close to you!